What are the Most Common Items in Storage Facilities? When a closet or attic become too packed with belongings, self storage is a great option. Whether a person needs to store large items or small, there are generally storage facilities to accommodate their every need. These facilities can allow a person to safely store their belongings without being fearful of theft or damage. Those who are considering using a storage facility can benefit from learning more about the most common items in storage. When a person needs boat storage, they often do not want to leave their vessel on the water. This can sometimes lead to damage, especially if the boat is not going to be used for a long period of time. Many storage units offer storage options for boats so they can be safely stored away until they are needed. Many people are not aware storage facilities also offer car storage. Instead of parking a car in an open garage where it can become damaged or experience vandalism, these storage options are preferable. Storing a car in these facilities keeps it safe and secure. People often store their furniture in these units. When furniture is not in use, it can become dusty, moldy and damaged. High-quality furniture can be protected in a storage unit that offers climate control. This type of unit helps to protect against insect and rodent damage. Storing off-season clothing is a great option for these units. This frees up full closets so people can more easily find the clothing items they are looking for. Storing clothing helps to keep it fresh and vibrant. 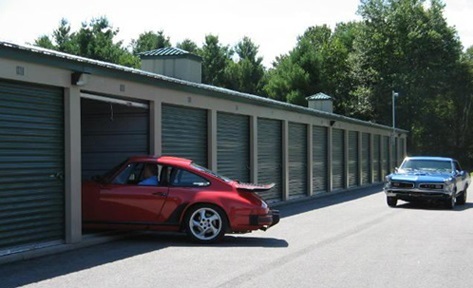 Many people prefer storing their valuables in these locked storage facilities. This can allow them to be better protected from theft and can keep them from being damaged. Asking about valuable storage is important when deciding on a storage facility. No matter what types of items are needed for storage, there are facilities that can help. Before deciding on a facility, it can be beneficial to take a tour and meet with the owners to ensure the facility is a good fit for the storage services needed. With proper storage, belongings can be kept safe and free from damage.